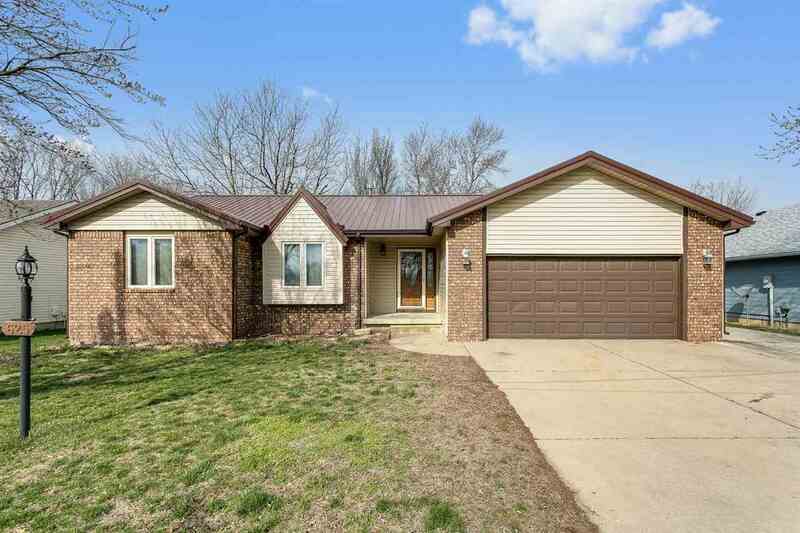 This attractive 3 Bedroom, 3 Bath home is located in west El Dorado, close to Oil Hill Elementary in the Circle school district. Quick and easy access to the turnpike or Hwy 254. The main level features 3 Bedrooms, 2 Baths and is highlighted by a spacious sunken living room. Master bath with double vanity. The full basement features a finished family/rec room, non-comforming bedroom and full bath. Numerous recent upgrades that include brand new flooring throughout the main level, seamless vinyl siding in 2013, 26 guage metal roof in 2018 and replacement windows on the front. French door from the living room to a wonderful back deck. Huge backyard that is great for pets or for the kids to play! 2 Car Garage with an extra concrete parking pad on the side. Don't miss this opportunity!